Today marks the launch of the Internet Defense League, an effort led by Fight for the Future to build permanent infrastructure for defending the internet. The idea is simple: build a loose, permanent coalition of individuas, companies and websites that stand at the ready to react to threats to the internet. How exactly this works is up to you — there are a number of ways to participate in the league, including (as I’ve done) inserting some JS into your site that will light up at certain times when the net is under threat. I’ve also got a snazzy new badge in my sidebar that fills me with pride every time I look at it. The past six months has been all about: “how does the internet advocacy movement evolve post-SOPA?”. I see the creation of the defense league as a big, exciting and awesome part of that. I remember back in the fall, during the building of anti-SOPA/PIPA campaign, FFTF made one of the most creative and effective advocacy moves I’ve ever seen: they offered ways for any website owner to “black out” their logo in protest of the bills. Tons of websites took this up, which helped the meme of the campaign spread laterally, quickly. I distinctly remember setting up my “stop censorship” logo and then feeling an immediate sense of kinship with others on the web who did the same. This is like a bigger and better version of that. I can say clearly and with pride that I’m part of the global force that will work to defend the internet, in whatever ways I can. That feels good to say. 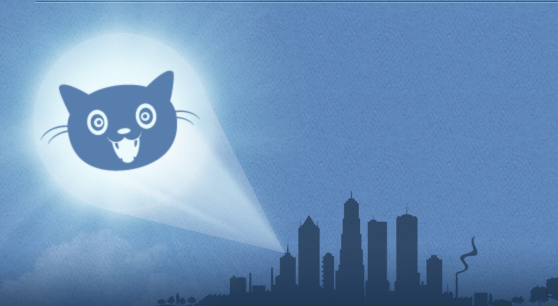 Tonight, as part of the launch, “cat signals” will light up the sky around the world. I’ll be co-hosting the NYC party on the roof at OpenPlans, along w/ Alexis Ohanian of Reddit. There are still free tickets available, so RSVP here if you want to come. I can’t wait to help flip the switch.